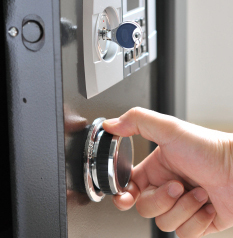 Safes keep our belongings safe such as keys, money, lockets and other important items. They give us comfort in knowing that our items will be safe from theft or burglary in the future. 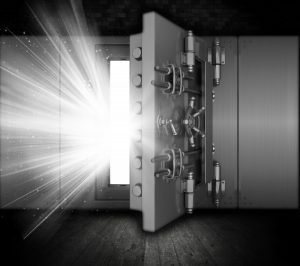 There are two main types of safes that populate the world today: Data Safes and Security Safes. Data Safes protect against fire as well as theft. They are mainly used for keeping documents and computer data secure. On the other hand, security safes mainly store valuables like cash and jewelry, etc. Unfortunately, safes can easily be opened with inexpensive equipment that give the robbers an edge on your belongings, putting them in danger. That is where a Quick Locksmith comes in. If you have any valuable documents which are of great importance, or valuable goods like gold, diamonds etc., you should get a safe to store them. But it won’t be enough if you just pop down to your local market and buy one. The safe should be professionally specified and fitted to provide real protection. You can check with your insurer as to whether they are specifying certain criteria for the safe such as cash cover or fire protection. A good locksmith who works with a safe Los Angeles will be able to specify and install the appropriate safe that will fit the purpose. Facing some problems while trying to open a locked safe? Or lost the keys to your safe and can’t unlock it? There comes the role of a trained locksmith who can help you. A locksmith can also be of help when your safe Los Angeles has been damaged by a fire, theft, or even a natural disaster like a flood. Safe removal services are also provided by a locksmith if you need to move a safe from a building or office. This is a service a locksmith who specializes in safes will be able to help you with. Since some safes are very large and heavy, specialist equipment like stair climbers, specialist trolleys or cranes will be required to enable the safe to be moved. A locksmith who specializes in safe engineering can help you do this process with ease.